“Blink,” by New Yorker writer and celebrity author Malcolm Gladwell (Little, Brown & Co, 2005), is a book about first impressions, the first few seconds during which we appraise information and make instant judgments. Gladwell says these conclusions oftentimes produce better, more accurate, conclusions than those made by way of exhaustive analysis. One example he gives is of an art dealer who looked at an antique sculpture and just “knew” it was a forgery–and was right–well ahead of the subsequent analysis to prove this, which would take months or years. When people talk about “love at first sight” or “you never get a second chance to make a first impression,” they are talking about the Blink factor. Michael LeGault came out with a rebuttal – “Think! : Why Crucial Decisions Can’t Be Made in the Blink of an Eye,” and the jury is certainly still out on whether “Blinking” provides a better basis for decision-making than formal analysis. But the point is it certainly provides, in every situation, an ever-present alternative basis for decision-making (whether the decision-maker is aware of it or not). 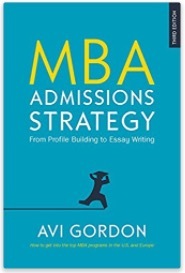 The implication for MBA admissions is that, while b-school Adcoms everywhere would assert that they rigorously analyze the strengths and weaknesses of each candidate–and they certainly do–there is also considerable “Blink” involved in how they choose one over the other. Note that Adcom essay readers and committee members are not seeking to make an impressionistic judgment. In fact the opposite is true. But they will be picking up impressions at every turn. After all, they have to make a big decision, fairly quickly, about a complex situation (you and your future prospects) and they don’t actually have that much formal stuff to go on. Note that this is all the fuzzy stuff of “tone” and “impression” that often cannot exactly be backed up with data. 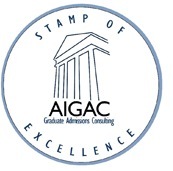 But it is crucial, and this is the way the admissions committee will get its working impression of your personality, motivation, determination, charisma, team orientation, and overall prospects, all of which will precede and then run in parallel with their more formal analysis. The best way to deal with Blink is to realize it is there, and always will be, and provide ways for admissions officers to use this mode in judging you. Expecting snap judgments about your motivation, take care that everything you submit is carefully checked and complete. Expecting snap judgments about your pre-MBA work experience, take care to get the highlights high up in the essay. Expecting snap judgments about your professionalism, take care that any correspondence you enter into (by phone or email) is scrupulously professional, and so on. In general you should play to the impression mode first, and follow this with data and detail that corroborates the impression.